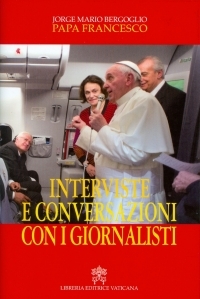 RORATE CÆLI: Bombshell: Pope to His Favorite Journalist: "All the Divorced who ask will be admitted [to Communion]"
Bombshell: Pope to His Favorite Journalist: "All the Divorced who ask will be admitted [to Communion]"
Yes, he said it over the phone to his favorite journalist, Italian editor Eugenio Scalfari of La Repubblica (the Pope's favorite newspaper), in a conversation on October 28, revealed by the latter in an editorial published this Sunday. There is no reason to doubt its general accuracy. We are way past the time of doubting the general accuracy of the Scalfari quotes. 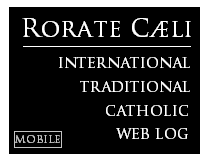 Not now, that the papal interviews to Scalfari have been published on the Vatican website, that they have been occasionally published by the Vatican publishing house (LEV) itself - for instance, as part of the book to the right. In the same phone conversation of the past Wednesday, he declared himself very interested in the article I had dedicated to him two Sundays beforehand. He asked me what I thought of the conclusions of the Synod on the family. 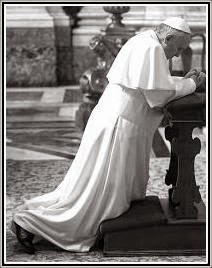 I responded -- as I had already written -- that the compromise that the Synod had reached did not seem to take into account the changes had had taken place in the family in the past fifty years, [and] therefore pointing towards the recovery of the traditional family was an objective that was completely unthinkable. I added that the open Church willed by him finds herself before a family that is open both in its goodness and in its wickedness, and that it is this that the Church finds before her.